Who will come up aces in Milano-Sanremo’s casino? How to win Milano-Sanremo? Endurance, early season form, a perfectly timed attack on the Poggio or final sprint, and plenty of good luck. The longest race on the WorldTour calendar isn’t necessarily the hardest, but Milano-Sanremo always proves to be one of the trickiest races to master. The so-called sprinter’s classic at 291km is the longest race of the year. Most of it, though, is raced over relatively routine terrain. It’s only until the course climbs of the Passo del Turchini and hits the famous string of “capi” along the Italian Rivera that things start to get complicated. From there, it’s a highly volatile, unpredictable ride over the Cipressa and Poggio onto the finishing straight on Sanremo’s Via Roma. It’s a race that favors many, but only a select few have managed to master its mysteries. Of course, Van Avermaet isn’t the first to explain the race that way, but there’s no denying that Milano-Sanremo remains one of cycling’s most unpredictable races. Because it’s not that physically demanding, a wide variety of riders are capable of winning. But due to its long distance and relatively early date on the schedule, riders often find they cannot produce their top numbers in the decisive final sprint. The result is often a wildly entertaining and surprising outcome. Last year, Italian sprinter Elia Viviani looked to have the victory within his grasp. Though Vincenzo Nibali (Bahrain-Merida) eventually fended off the sprinters with a daring attack on the Poggio, Viviani was poised to finish off the near-perfect work from his Quick-Step teammates, only to see his legs falter. It’s that rare mix of terrain, distance, and innumerable would-be winners that makes Sanremo so tantalizing. The tug-of-war between the sprinters and the attackers a-là Nibali set up one of the most entertaining finales of the season. 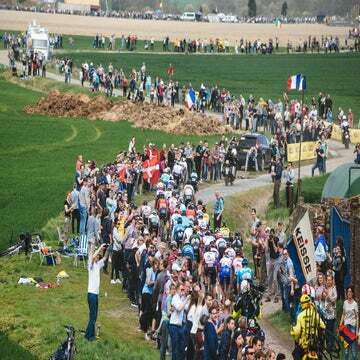 Some might say it’s a bore for the first six hours of racing, but no one can deny that the pitched battle in the final 60 minutes isn’t one of the scintillating in the WorldTour. After tweaking the route over the past decade, including the controversial Le Maniè climb from 2008 to 2014, and flirting with going over the Pompeiana climb, organizers reverted back to the classic route that’s been used since the Cipressa was added in 1982. The Poggio was included in 1960, and most of the action is now packed between the top of the final hump, little more 5km to go, and the finish on the Riviera. With a deep, talented peloton, not much happens these days on the Cipressa except for stress and nerves. The real tension of the race happens up and over the Poggio. Riders attack over the top and on the descent with varying degrees of success. It often comes down to only meters and seconds. Despite its apparent casino-like outcome, most of the winners are worthy of the race’s monument status. It’s rare to see a one-off winner or a freak breakaway surprise the big “capos” of the peloton. Despite a list of winners packed with some of the sport’s top luminaries, several big-name riders never managed to win Milano-Sanremo. 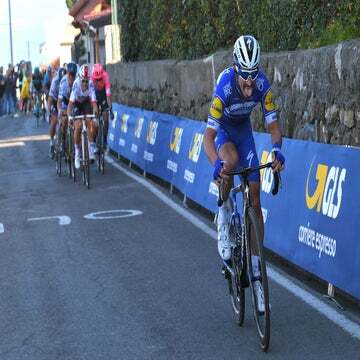 Most recently, Sanremo has proven elusive for Tom Boonen and three-time world champion Peter Sagan, who’s been five times in the top-five, including twice second. The favorites? Every team packs at least one dreamer. Love it or hate it, the “classicissima” always serves up a wild ride.